Al-Karam Textile Mills are among the few great names in Pakistan’s Textile Industry, Al-Karam Lawn high quality fabrics and flirt with beautiful designs in glorifying colors. This time the summer collection is in stores quite early. 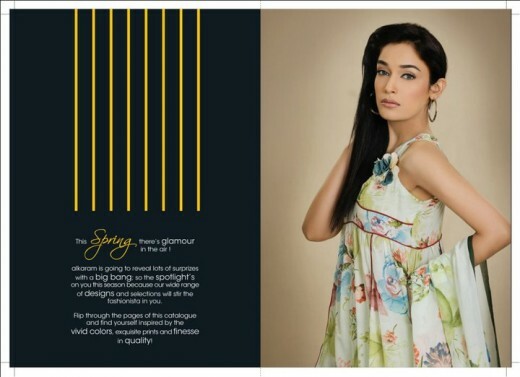 Last year, Al Karam lawn summer collection 2010 presented elegent and heart touched fabulous lawn prints. Al-Karam is a fashion entity and encapsulates style, panache and latest fashion trends in colors which promise to perk up your summers. Al-Karam Lawn summer collection 2011 is already in market and this makes them the first brand to launch the summer collection 2011.